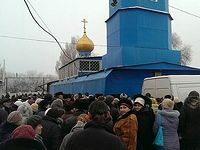 169.5 metric tons (c. 374,785 lbs) of humanitarian aid collected by the Russian Orthodox Church have been handed over to the southeastern Ukraine since the end of December 2014, reports Interfax. Thus, over 30,000 people were provided with foodstuffs, said press secretary of the Synodal Department for Church Charity and Social Ministry Vasily Rulinsky on Thursday during a conference at the “Konrad Adenauer Stiftung” foundation in Moscow. More than 128 million rubles in support of Donbass have been donated on the Synodal Department’s account (over 81 million rubles have already been expended). 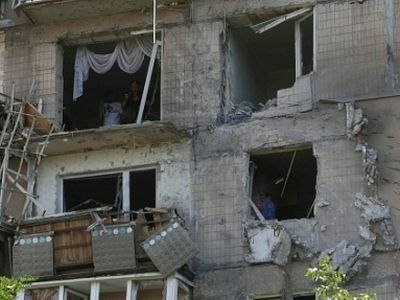 V. Rulinsky has also noted that the Russian Church has been helping Ukrainian refugees as well. Since summer 2014 over 22,000 people have received aid from the Church headquarters, 935 refugees received free tickets to various destinations, more than 13,000 received clothing, 16,600 – foodstuffs and medicines. According to the Synodal Department’s press secretary, the Russian Church manages over 3,500 social projects, more than 60 rehabilitation centers for drug addicts (and 15 new centers are due to open in 2015), 60 sisterhoods of mercy, over 170 medical services and surgeries, around 40 almshouses, more than 70 asylums for the homeless, over 100 temperance societies and brotherhoods, 27 asylums for pregnant women and mothers with small children, about 30 legal advice offices and 60 psychological aid services, 46 churches work with deaf and hearing-impaired people. “Miloserdiye” (“Mercy”) – the largest volunteer service in Moscow, numbers over 1,500 volunteers. 3,500 food hampers were purchased with Church funds and handed over to the needy. The total weight of the humanitarian aid was 16 tons.